Edward James (1907-1984), Poet, designer and patron of the arts. Sitter in 3 portraits. 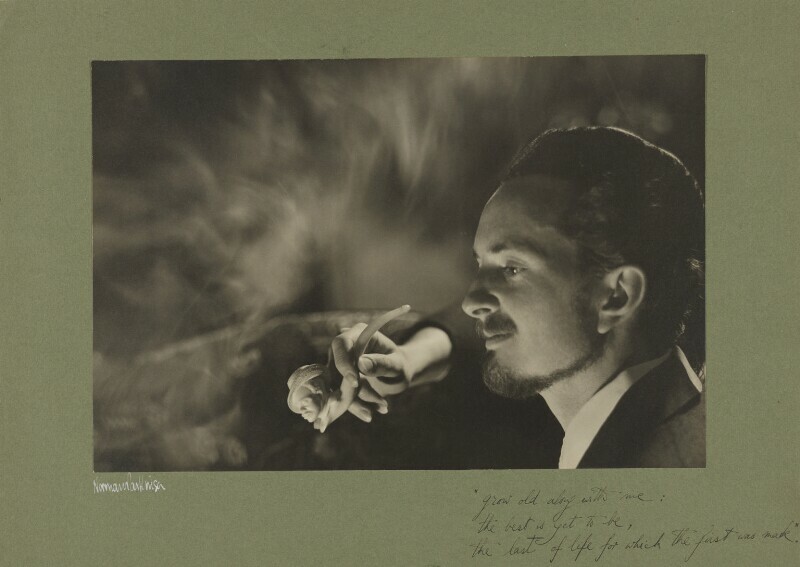 This rare early print by leading fashion photographer Norman Parkinson is inscribed by James with a quote from Robert Browning’s poem ‘Rabbi Ben Ezra’: ‘Grow old along with me, the best is yet to be, the last of life for which the first was made.’ Surrounded by smoke it shows the sitter in a dreamlike environment, in a composition that evokes James’s taste for the surreal.